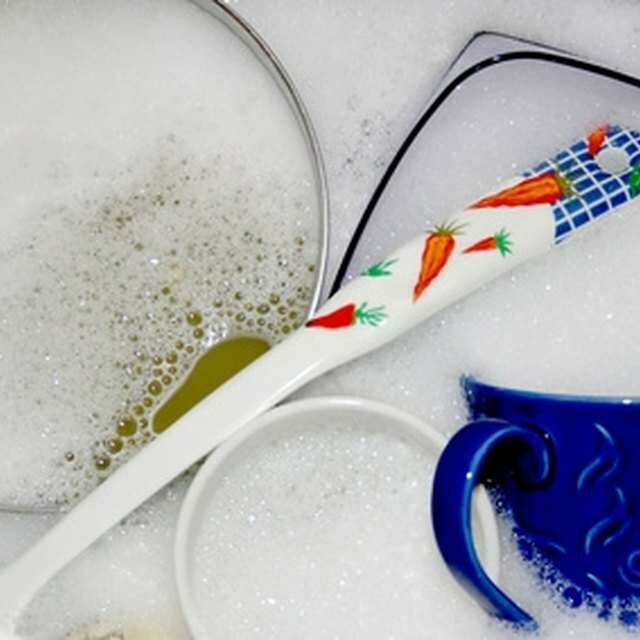 Dishwashers save you thousands of hours during your lifetime by replacing the need for tedious hand washing of dishes. But if your Frigidaire dishwasher has a humming noise and is not cleaning your dishes properly, it is costing you valuable time. Find out the potential causes for the humming sound and lack of cleaning ability to get your Frigidaire back on track and to get yourself out of the kitchen. Find out what is causing the problems with your Frigidaire dishwasher. An obstruction may be responsible for your dishwasher problems. The way you load your dishwasher may be keeping a dishwasher component from properly washing the dishes. The funnel may be blocked or the spray arms may be blocked and prevented from rotating properly. Load glasses and bowls in the top rack with the open ends of items facing down. If an item extends from the top rack to the middle of the dishwasher it may be blocking the middle spray arm, so load the item on the bottom rack instead. Place dishes in the bottom rack and face them down or directed toward the center of the rack. Turn off the power supply to your dishwasher to check to see whether the motor is functioning properly. A humming sound may indicate a motor problem. Unscrew and remove the bottom panel of the dishwasher so you can access the motor. Reach inside and turn the motor blades. If the blades are stiff and difficult to move, call a service provider to repair or replace the motor. If the motor blades move easily, check for other problems. The humming sound may indicate that the necessary water level is not being achieved inside the dishwasher. Ensure that the dishwasher is getting enough water by checking whether the water supply valve is on. Detach the hose attached to the water supply valve. Run water from your faucet through the hose to ensure water can freely flow through. If it doesn't, the hose may be cracked or have a kink in it. Replace the water supply hose with a new hose. Ensure that your dishwasher is receiving adequate water pressure and that the water heater temperate is set at a minimum of 120 degrees F. Use fresh detergent and the amount indicated by your Frigidaire manual. If your water is too hard, you may need to use a water softener. An electrician may be needed to check whether a fuse or switch defect is responsible for the problem.